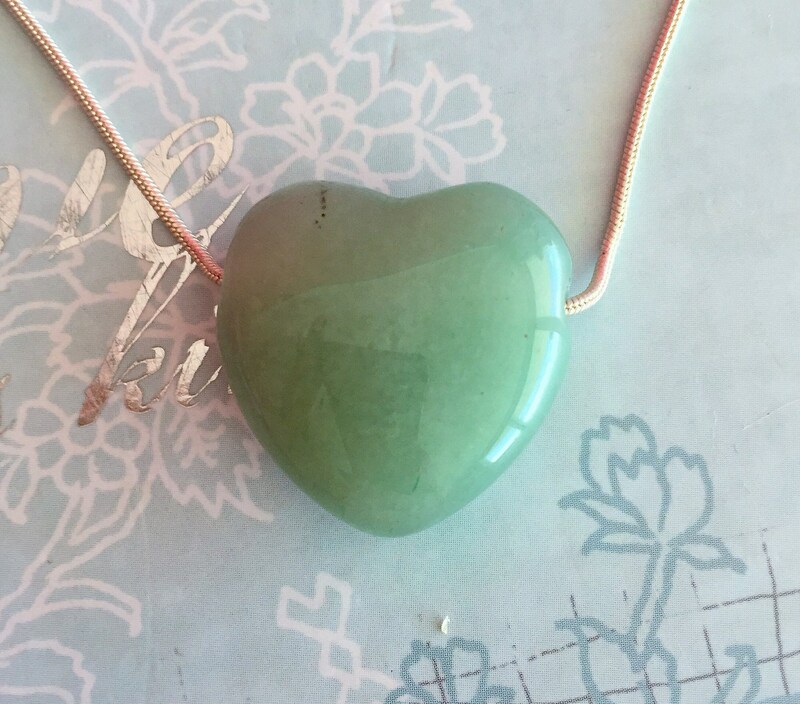 Receive one lovely premium quality Green Aventurine Heart Crystal Pendant with a necklace. 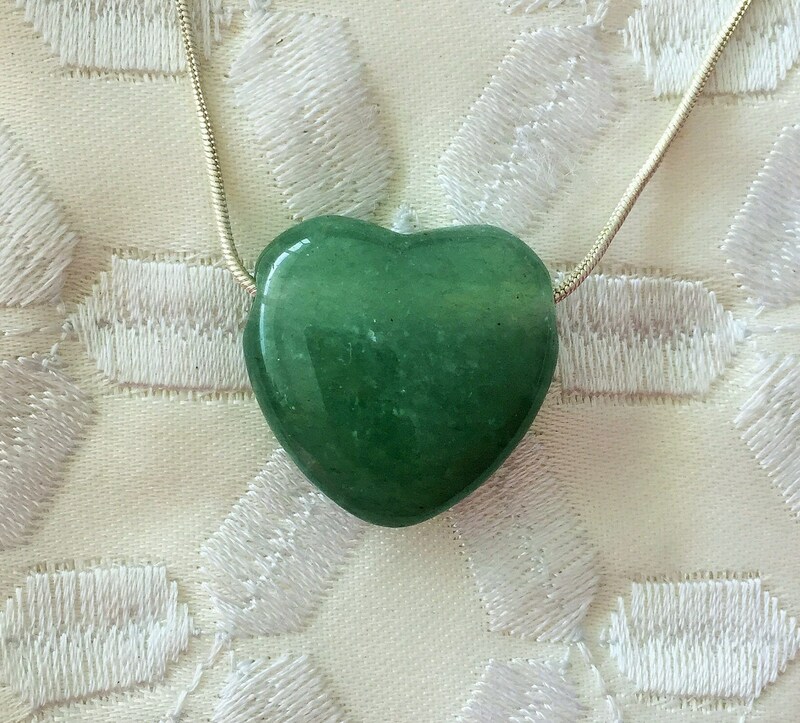 Perfect for balancing the heart chakra. 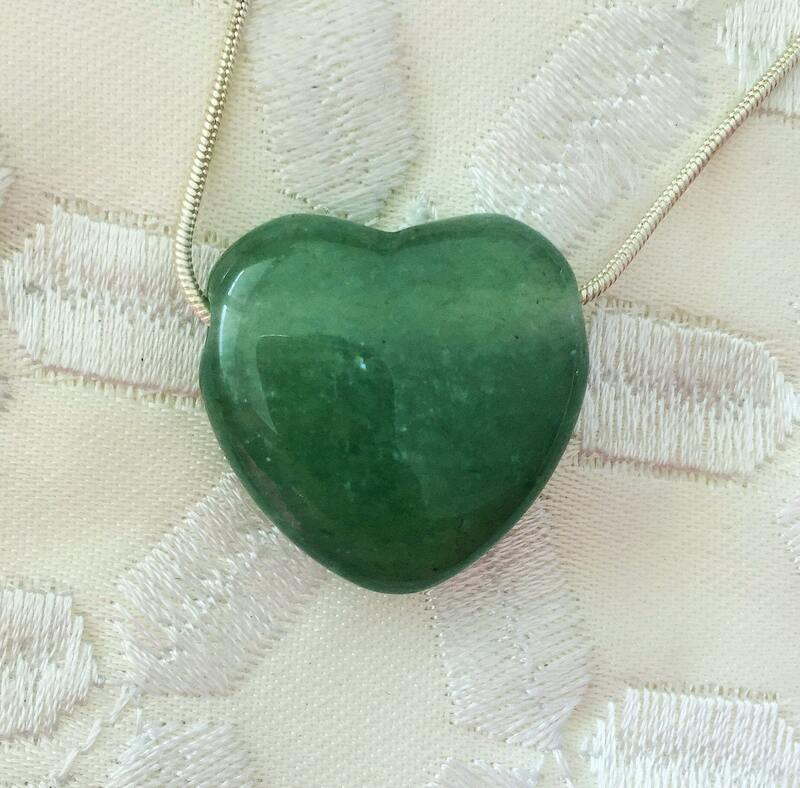 Green Aventurine comforts, harmonizes, protects the heart, and can help attract love later in life. It is one of the premier stones to attract luck, abundance and success. Green Aventurine has a particularly soothing energy behind it, and is recommended for working through unresolved emotional issues.